Since the inception of eGarage we began to introduce not only our own photography and films but our friends’ Automotive photography as well. One of our Facebook folders from late 2010 we titled “Throwback Thursday” to showcase everything we liked from Vintage and Classics or maybe forgotten, but well maintained or restored machines. 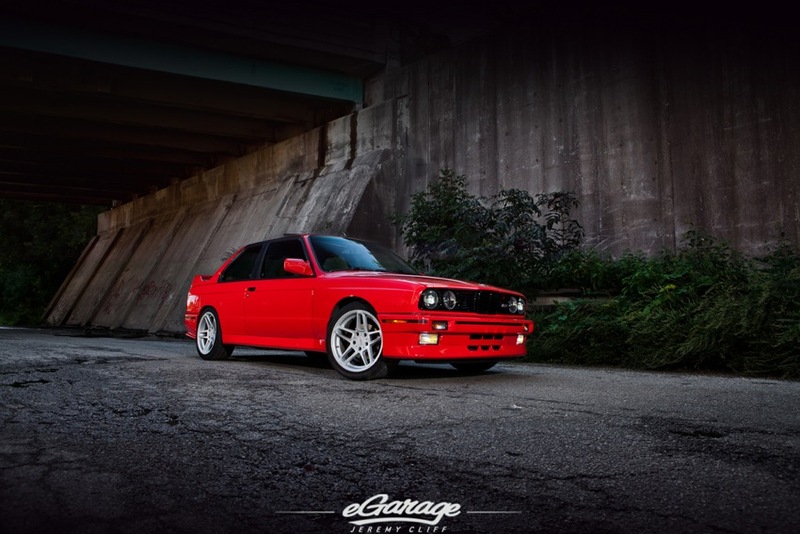 Longtime contributor, friend and photographic wiz kid Jeremy Cliff recently spent a long afternoon capturing the essence of two recent BMW “throwback” favorites: the Z3 MCoupe and the ever popular E30 M3. Owner, Asim, found his blue 1999 BMW Z3 MCoupe online after having already owned 3 previous Z3 cars. Its ride height, at a near perfect stance, is highlighted by custom 18″ BBS RS’s redone by Rotiform. This 15 year old shooting brake’s styling still appears to be standing the trends of time. The Vibrant Mufflers give this machine an attention commanding growl. Thanks so much to Jeremy for another amazing group of images and the owners for taking such great care of a pair of awesome throwback machines.